I never realized that Trump’s picture would be emblazoned at the top of our website for over 3 months because my meeting notes from November 11th were the last update and we did a short story on what his election might mean for the space industry and NASA. So this short article is to help push him off the top of the site. In 2017, China plans 30 launches, Russia 29 and the US 32. 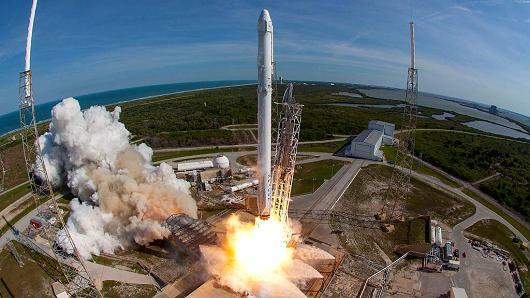 The US figure is inflated by the optimistic goal of SpaceX launching 27 times. We’ll see if they can hold to that schedule. They have already launched once in the new year and plan for their second launch, an ISS supply mission, in the middle of February. Also included in their 2017 plan is the first test launch of their new Falcon Heavy rocket which will be the most powerful current rocket. They also plan to launch with a refurbished first stage from one of their seven returned rockets. That will occur on the SES-10 satellite mission still listed for March.